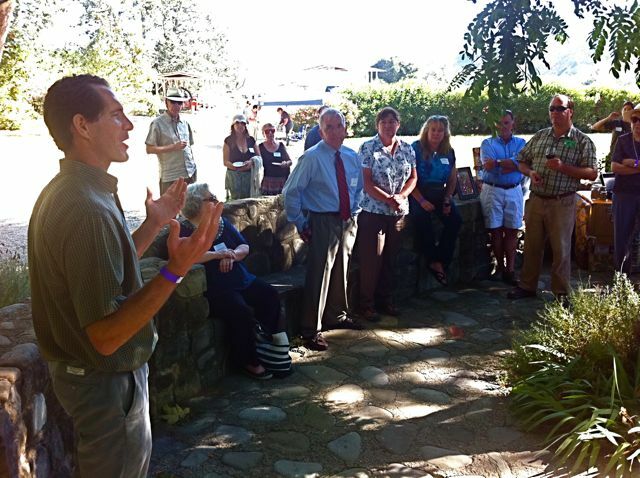 This property compliments the Confluence Preserve on the opposite bank of the river. This stretch of the river is within the 'Live Reach,' so named for the year-round flows. The land conservancy now protects 6 miles of the river, with the ultimate goal of creating a river parkway the entire 16 miles from Matilija Dam to the ocean. Ribbon cutting ceremony for the completion of Phase 1. 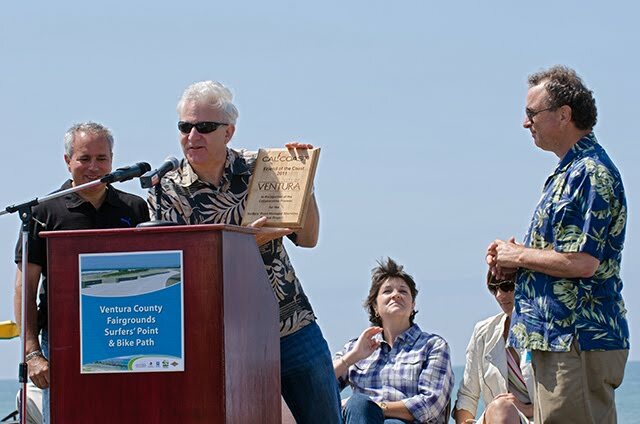 In this photo, L to R, Paul Jenkin, Surfrider Foundation; Kara Kemmler, CA Coastal Conservancy; Mayor Bill Fulton; Councilmember Brian Brennan; Janis Berk, Fair Board President (cutting the ribbon); Darren Kettle, Ventura County Transportation Commission; Rick Raives, City Engineer. 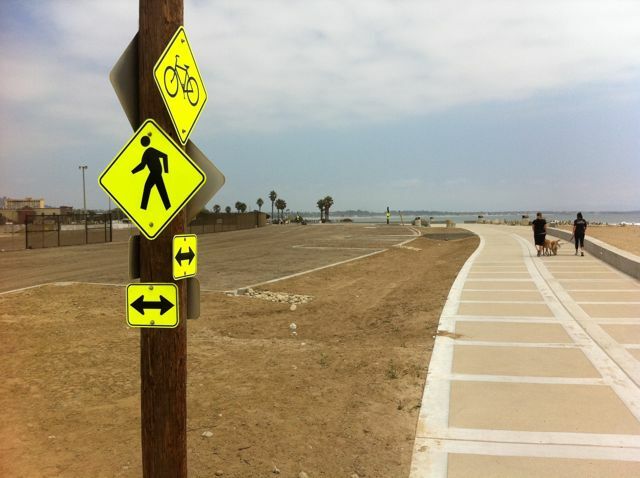 "While the path appears to be a 16-foot-wide concrete bikeway surrounded by sand, it is a highly sophisticated filtration system, while providing a barrier to further erosion." Mayor Fulton accepts the 'Friends of the Coast Award' presented by Steve Aceti, CalCoast as Brian Brennan looks on. 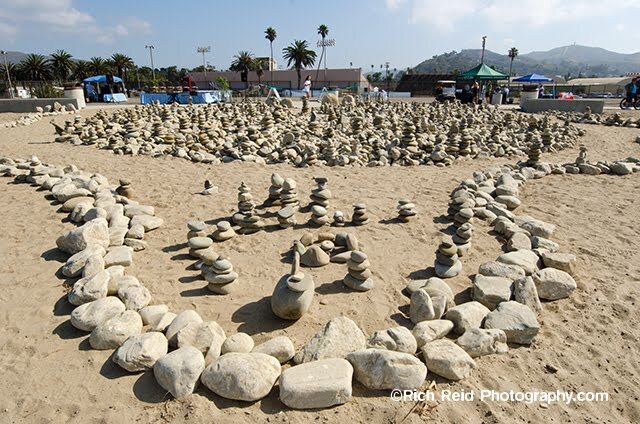 The 'rock garden' is a public art component of the project. This week the final details are being completed on Phase 1 of the Surfers Point Managed Shoreline Retreat Project. 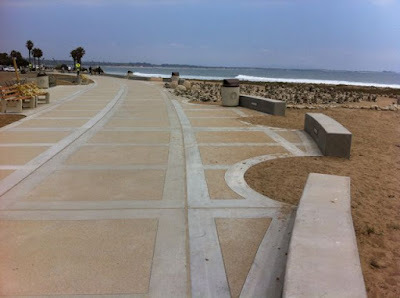 The bike path is now open for use, and the finishing touches are being done on the benches, bike racks, and connections to the old path. 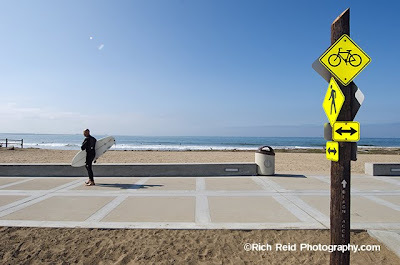 The official "Ribbon Cutting Ceremony" will be held on Saturday at 10:30 am, and Surfrider is co-sponsoring a beach cleanup with the city. 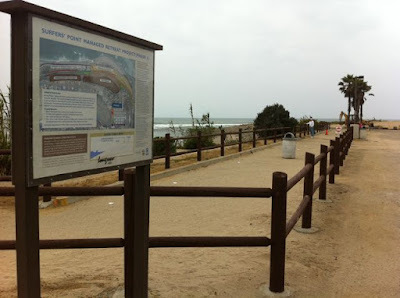 We hope everyone can join us in celebrating this hard-won restoration of our beach!